With the building envelope of this historic campus icon newly restored during the project’s first phase in 2008, Phase II brought dramatic changes to the interior spaces. 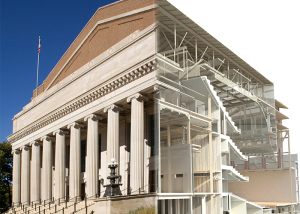 The new program repurposed Northrop as a hub for student activity, a cultural and performance center, and a convening place for thought leadership and innovation. 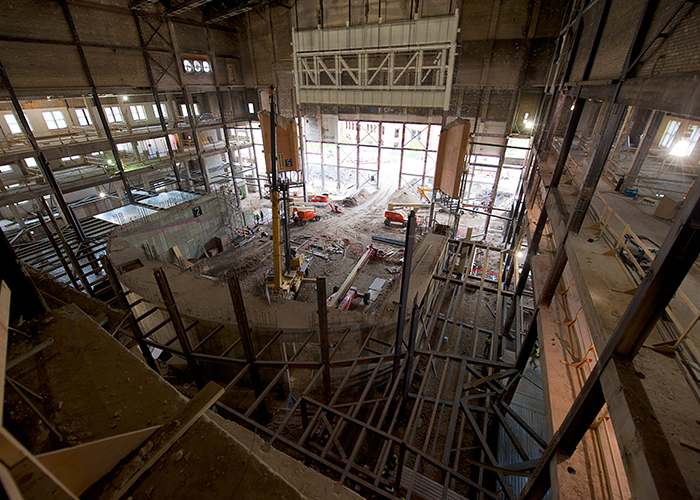 While the project scope required an almost complete demolition of the interior auditorium space, the historic Memorial Hall was preserved and restored, and historic elements of the original building reused in the new spaces. 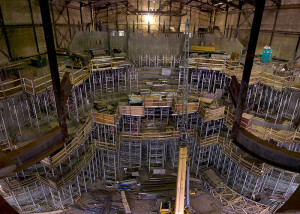 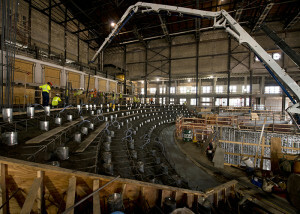 The auditorium was reconstructed with new 90-foot-high concrete walls supporting 150-foot-long roof trusses, three new 25-foot cantilevered post-tensioned concrete balconies, a new post-tensioned concrete stage slab, reconstruction of parterre and orchestra level auditorium seating, and a new mechanical-electrical accessible ceiling. 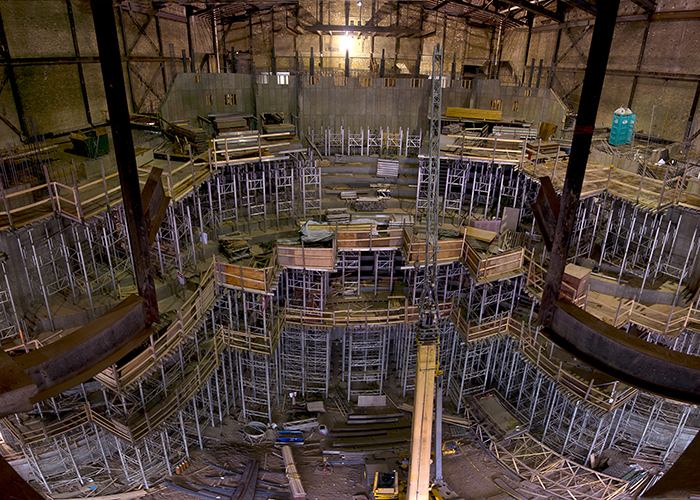 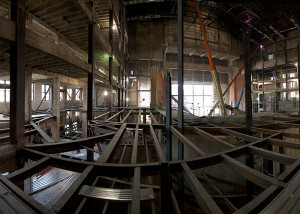 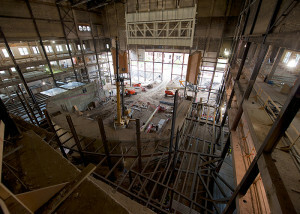 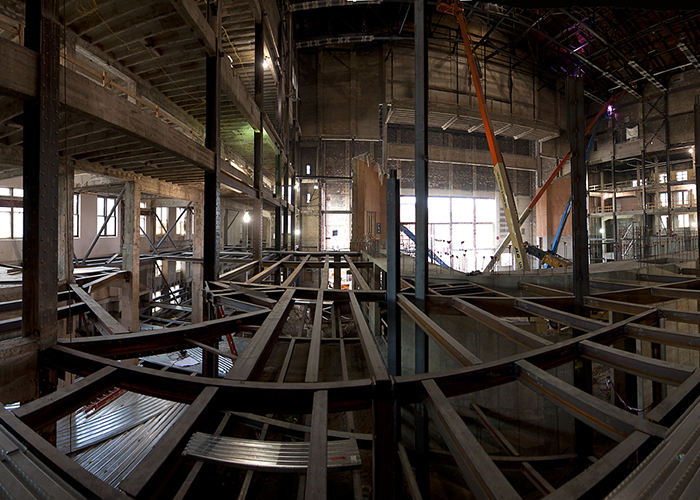 Horizontal and vertical expansions include five levels of new composite steel floor structure for lobby space between wing and auditorium spaces, 20,000 square feet to extend the stage and rehearsal space, and a recital hall. 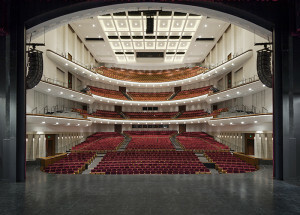 This project was extremely complex and fast paced, requiring above average construction tolerances and design flexibility, because of several to unforeseen conditions. 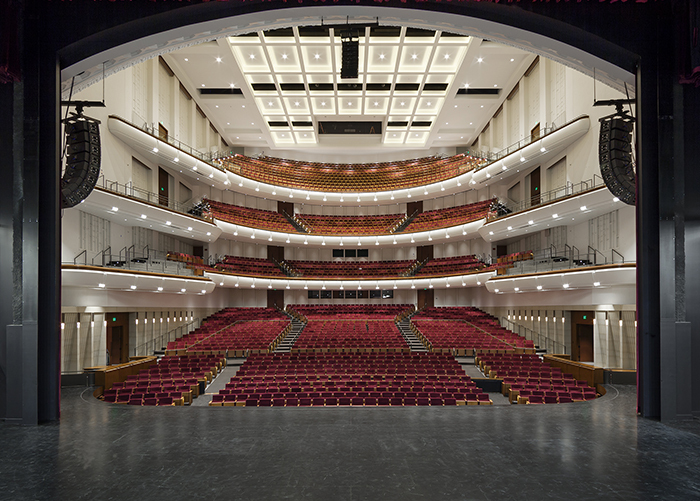 The $75,000,000 project opened its doors in late 2014 and has since won an AIA Minnesota Honor Award and ACEC Minnesota Grand and Grand Conceptor Awards.